Stay confident…… stay independent …..
Al-Anon Family Groups provide support to anyone whose life is, or has been, affected by someone elses drinking, regardless of whether that person is still drinking or not. For some of our members, the wounds still run deep, even if their loved one may no longer be a part of their lives or have died. Click on link above for Full Leaflet. An organisation for eating disorders sufferers. Information, advice & support for people with ASD’s, families/carers & professionals. Mental Health Information: Browse or borrow books, videos, CD’s. Belmont Information Point is a friendly drop-in designed to increase knowledge and signpost those affected to local sources of help. See website for full list of titles. Borderline UK is a national user-led network of people within the United Kingdom who meet the criteria, or who have been diagnosed with Borderline Personality Disorder (BPD). You can talk to us two days a week, no matter where you are in the UK or how complex your query is. We do benefits checks and advise on financial and practical matters related to caring. For a limited time, while we undergo staff changes, Carers UK’s advice line will be open between 10am – 4pm on Monday & Tuesday. Alternatively, you can email or write to the Advice line and we will respond to your enquiries within ten working days. how to complain effectively and challenge decisions. Open Monday & Tuesday 10am to 4pm. *Note: listening service available Mondays and Tuesdays, from 9am to 7pm. Address Cavendish House, Brighton Road , Waterloo , Liverpool , L22 5NG . Provide community transport services for disabled, older and socially isolated people. A dedicated local website has now been launched in Somerset which includes information about services available across the county through Alzheimer’s Society, including Memory Cafe’s, Singing for the Brain groups, support for younger people and the Dementia Adviser Service. The website has been funded by NHS Somerset and Somerset County Council and is run by Alzheimer’s Society. There are also links on the site for other organisations in the county that can support people affected by dementia. We also advertise events that are happening locally which are of interest. Also if you have or know of any events upcoming that link with dementia or memory loss, please pass details on to Sharon Morse. A new service for drug users who have been involved with the Criminal Justice System. 24/7 free helpline. A national charity offering help and information to people with Anorexia Nervosa and Bulimia Nervosa, their families and friends. Telephone Helpline open weekdays: 9am – 6.30pm. Equilibrium aims to become the foremost international partnership organisation working to advance the understanding and treatment of bipolar disorder; it also seeks to address the stigma and prejudice that often surrounds bipolar disorder. Headway Somerset’s Hospital Liaison Service is entering its fourth year with Wendy Copeman and her new colleague, Freya Suffield. Both hospital liaisons will continue to support individuals with an acquired brain injury and their relatives. Hospital ward visits are made to Musgrove Park, SNRC and Yeovil, in order to offer support and signposting information to individuals who have sustained a brain injury, and to smooth their transition from hospital to home. Community and home visits can also be made to follow up on support given during the hospital stay. As well as this, family and carer groups are run monthly from venues in Taunton and Yeovil to give information, support and advice to those who may need it. This is also a great opportunity to meet others who have had similar experiences. Please contact us for dates and times of the groups. If you hear voices HVN can help. We are committed to helping people who hear voices. Our reputation is growing as the limitations of a solely medical approach to voices become better known. Psychiatry traditionally refers to hearing voices as auditory hallucinations but research shows that there are many explanations for hearing voices. Many people begin to hear voices as a result of extreme stress or trauma. The In Touch Project aims to provide a confidential, informative and supportive service to family members and friends in Somerset who are affected by someone elses drug or alcohol use. We know how frustrating it is to hear an answer phone, but occasionally we may need to do this. Sometimes we need to attend meetings or training that is important for the project. If you feel comfortable leaving your FIRST name and number and would like us to contact you then please leave a message. If you need help and information at other times please refer to our links page, where we list some 24 hr. helplines which may be useful. Independent Living is the place for impartial information about products, services and more, to help with mobility and independence. For over 17 years, we have been helping family and professional carers, as well as disabled individuals, to find solutions to the challenges of daily living. Offers an outreach and advocacy service to anyone affected by domestic abuse. Opening Hours – 8am to 8pm Monday to Friday and 9am to 1pm Saturday/Sunday. We can help if you’re aged 18 or over with a terminal illness, or if you’re looking after someone who is terminally ill.
Our service is free of charge and is available in Somerset and Devon. We’ll find out more about you and your situation before matching you with a Helper volunteer who’s right for you. All our carefully selected volunteers have completed specialised training for their role. The Somerset Community micro-enterprise Project has been helping local people to set up small (micro) businesses that can provide local services for people who need some help and support. These Micro-providers are paid professionals that can offer you support in the areas you need help at home. Provides a telephone information service, plus day projects and groups, for people experiencing anxiety and depression. Mindline on 01823 276892 (open 8pm – 11pm, Tuesday, Wednesday, Friday, Saturday, Sunday). A Somerset-wide out of hours telephone support line for anyone suffering emotional distress, carers, family members and friends. Callers do not need to be in crisis but may need information, emotional support or understanding. Helpline: Wednesday, Friday, Sunday, 8pm – midnight. A Somerset-wide out of hours telephone support line for anyone suffering emotional distress, carers, family members and friends. Callers do not need to be in crisis but may need information, emotional support or understanding. Helpline: Wednesday, Friday, Saturday & Sunday: 8pm – midnight. Publications on autism & Asperger syndrome are available via website. You can request a free catalogue with over 120 books, videos & CD ROMs. Personality disorders are increasingly recognised as major mental health issues. Use this site to find out more about the different personality disorders, including borderline, antisocial and dangerous and severe, and what the diagnosis means. Also keep up with the latest news about what is happening in the world of personality disorder and how you can get involved. National membership organisation providing help and advice for sufferers, their carers and their families. Information, advice and support direct for Carers. Helpline for those with anxiety problems and suffering from panic attacks. Offers a free, confidential service?? throughout Somerset; for anyone under 18 or parents/guardians seeking advice and information on drugs and /or alcohol. A free, confidential telephone support service for parents of an adult or child with an ASD. Open 24 hours – Call any time & leave a message & contact number. PADA give support to any family member, partner or friend of substance misuser. Offer respite to grandparents who are primary carers of their grandchildren due to their son or daughters misuse of drugs. Offer early intervention/prevention programme in schools – for parents – which helps parents become the educator of their children with regards to drugs – early warning signs to watch for and what to do. You can speak one to one with people who know what you are going through. General Enquiries can help you set up or amend your membership details, make over the phone donations and provide general information about the charity and our services and groups. Offers advice, support and information for people suffering from enduring mental illness, including schizophrenia, their families / carers. Wide ranges of leaflets are available. Advice Line [Monday – Friday, 9 am – 5 pm ]. Disabled access friendly. Anybody and everybody who are in emotional distress are welcome to contact us by any means. Our centre is fully accessible to those visitors with reduced mobility, and there is a small car park on site with a designated space for disabled drivers. No facilities at present but arrangements can always be made by contacting us. 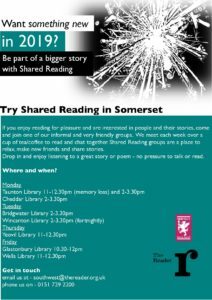 Somersets Newsletter for mental health carers. Available from Carers Information. SOMPAR is a network for relatives and friends who care for people in Somerset with mental health issues. Somerset Partnership NHS Foundation Trust is committed to working with carers. All our mental and physical healthcare services will work in partnership with you wherever possible. 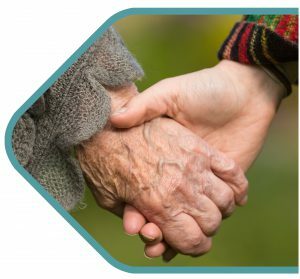 For people who are caring for someone who is a patient of the mental health services of Somerset Partnership, we carry out an assessment of your needs and seek ways to help. For example, we may be able to provide a short break from your caring role, or take steps to ensure your own health care needs are addressed or that an assessment of your needs is carried out. Their service is free to use and staffed by volunteers who are carers and service users. You can pick up leaflets or borrow books on Mental Health for free. On the website you can see what leaflets and information available, access Mental Health websites, see what books you can borrow and see what self help handouts there are to take away. Information on adult ADHD is available from the address detailed here. They also publish ADHD News & have a comprehensive book/video store. Offers information and advice on overcoming post-natal depression. Also offers support for husbands and partners of depressed mothers. Are you a carer for someone who is disabled, elderly or ill, who needs your support? This area of Timewise Jobs is for you. Get ideas and guidance on how to find work to fit with your caring responsibilities, as well as access to flexible jobs and employers. A registered charity, provides advice, information & support for all drug & alcohol problems. This includes carer support. The service is confidential and free, and provides services for people with complex needs including those affected by drug & alcohol misuse, mental health problems and those with a learning disability. The Somerset Drug and Alcohol Service operates as a partnership created by three providers: Turning Point, CRI and DHI. At Turning Point, our goal is for you to complete recovery by giving you the support, advice and skills you need to start a new life. Our recovery services offers clinical care, individual care plans, personal and group therapy alongside residential rehab services. We also help with a wide range of issues such as employment, education and training. We offer advice on family issues, helping you to learn a new skill set and general health issues in preparation for a life free of addiction. Our partners in the Somerset Drug and Alcohol Service include CRI who focus on Engagement and DHI who looks at Housing. For women facing violence within the home. Parents Information Service. Best time to telephone: 10 am – 4 pm.